Have you ever taken a red-eye flight cross country with four kids in tow? My husband Ted and I have. Um … sure. Sure, they’ll sleep. That’s what all delusional parents such as ourselves later discover isn’t true when our unrealistic expectations jarringly meet with reality. Budget airline seats, crying babies, and men who snort and cough louder than you knew was humanly possible. Our red-eye flight served as one of many reminders that as fun as family travel can be, it also has its challenges. 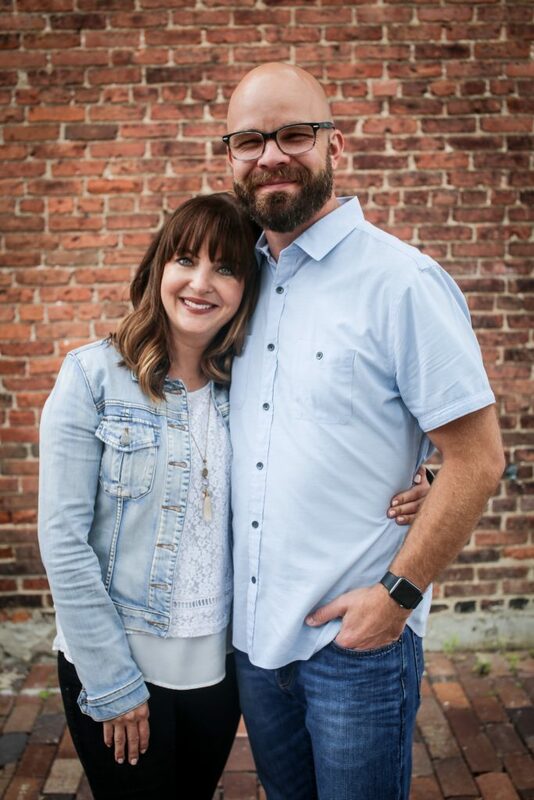 For us, these challenges are often the hardest on our marriage. We’ve learned that it can be difficult to work together as a united team when we’re out of our everyday environment and normal patterns. And sleep deprived. 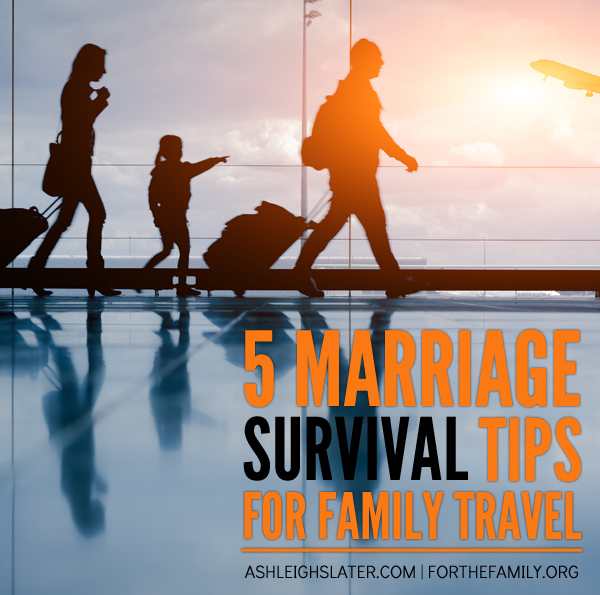 That’s why when we travel, we now pack these 5 marriage survival tips. Whether it’s a red-eye flight, multi-day road trip, or the cramped quarters of a hotel room, certain travel situations have the ability to bring out the worst in us. At least, this is the case in our marriage. As a result, we now accurately access our situation. Ted and I understand that each of us will have at least one, if not more, bad moments … and we poise ourselves to be quick to both repent and forgive. 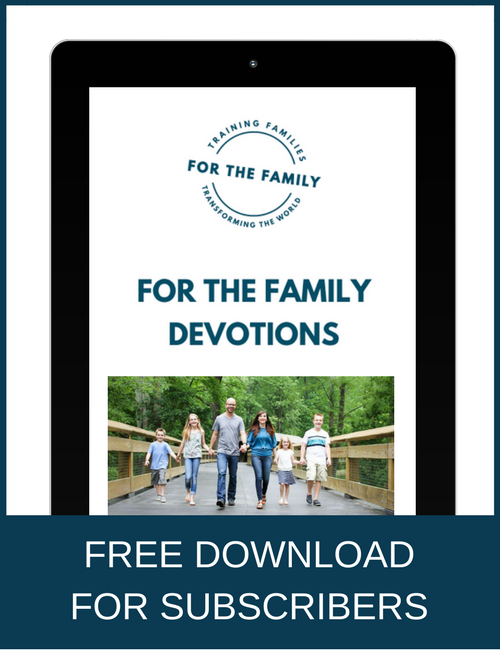 Ted and I connect best through the regular habits and shared activities we have in place at home. Regular tuck-in procedure. Regular nightly Netflix-binge watching. When we travel, those habits and activities don’t happen. As a result, it can leave us feeling disconnected. We make a point of reminding ourselves and each other, that those everyday comfortable interactions will soon be back in place. And, in the meantime, we look for other ways to stay connected while away. If we’re brutally honest, the stressful aspects of traveling can sometimes makes us feel like we only love each other because we’re obligated by our vows to do so. But the truth is that feelings are fickle. Sure, they can be convincing when we’re stressed and tired and grumpy. But they aren’t reliable; they can’t be trusted. Ted and I have learned that, in those moments, we need to fake it until we make it. It’s important that we respond with right action even if our feelings aren’t inclined to. And the funny thing is, our feelings will eventually follow where we choose to lead them. When we’re stressed, sleep deprived, or disagreeing on what’s next on the agenda, it’s easy to forget that we’re on the same team. We can allow these things to become a “me vs. you” rather than an “us vs. the problem” alliance. How do we combat this? By allowing a common enemy to unite us. On our most recent trip, we banded together to solve the issue of our kids fighting over who had more hotel bed sheets every night. Like a common enemy, laughter unites people. When Ted and I have a good laugh – whether over the kids fighting about hotel sheets or the child who was yelling “stop it!” at 3 a.m. to her snoring sister – it draws us toward one another. It helps us let our guards down and, in the process, eases any tension we might be feeling that day. If you’re like us and travel takes a toll on your marriage, perhaps you’ll pack these 5 survival tips on your next trip. Do you have any additional travel tips to add? If so, I’m teachable. I’d love to hear them. Leave them below. This is great, Ashleigh. We can certainly attest to your tips, as we’ve flown with our five (all under 8) and things can get pretty hairy. Thanks!